Reserves of a fuel are the quantities still to be extracted. The graph show reserves of natural gas at 31 December 2016 in the top 10 countries and in the rest of the world. 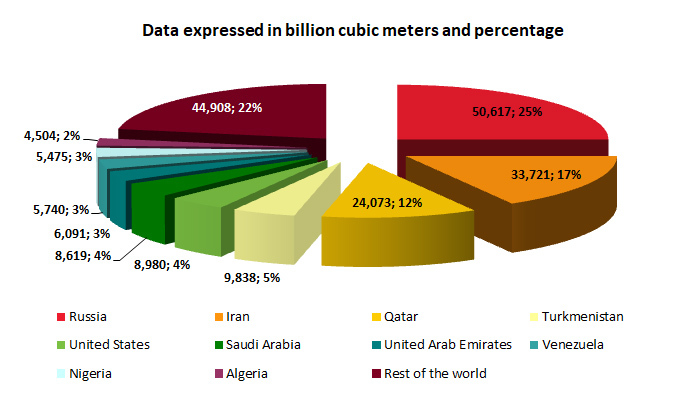 It can be seen that the top three countries (Russia, Iran and Qatar) possess 54% of the world’s reserves of natural gas.